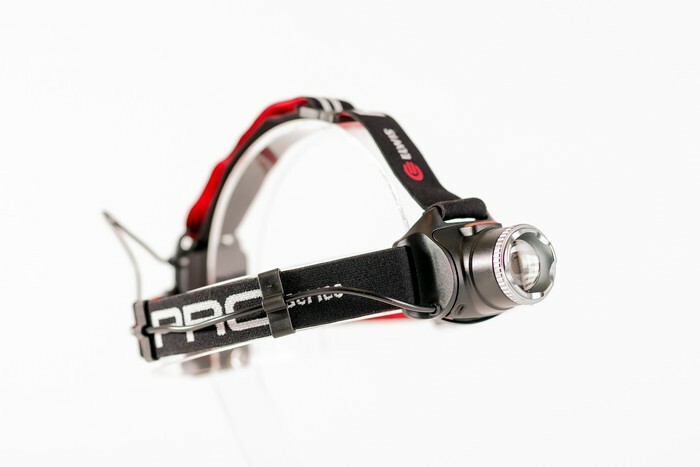 High performance, lightweight headlamp with twist focus. Total weight only 145 grams, including battery. Adjustable beam angle up to 90 degrees. 5W CREE XPG2 LED providing 330 lumens (high) or 110 lumens (low). Cable in cold resistant PVC (down to -40 degrees). Splash resistant with IP rating of 44. Great for camping, mechanics, electricians, surveyors & DIY!